The final art show of 2018 led me back to the San Jose Craft Fair at the San Jose Convention Center. This place had a lot of stuff for the holiday season and was the perfect place for people to find the best Christmas present. Was I going to bet that Linda Cullen was going to show up at this show? My instincts thought that she wasn’t, but to my surprise she actually did! I don’t know what it is! There was another booth that I definitely enjoyed! An artist named Tracey designs custom-made signs using recycled license plates found off of old cars and the best part is that she lets her customers design any kind of sign they want to. They can be used as racks to store car keys or other things. I don’t know how I’d make greeting cards like that, but anything can happen! With 2019 around the corner, I plan to revisit these shows and see some new ones and who knows what ideas will inspire me to create a new project and where my next card sale will take place! Hope everyone had a great Veterans Day! Thank you to all our brave men and women who served in the Armed Forces to keep our country safe! How I spent my Veterans Day was a visit to the San Mateo Harvest Festival Original Art & Craft Show. Most of the stuff I saw were previous items from the past shows and gift ideas for holiday season. When I was at that show last year, it was the first time I bought a bottle cap design from Linda Cullen with the Sacramento Kings logo after meeting them for the first time in Pleasanton, and I still have it to this very day! In addition to that, I’ve mentioned about ideas for new projects with sports, television, fast food, travel, and other things along those lines. Ever since I’ve being taking graphic arts classes and using some of these ideas, I’ve created a lot of posters and making a few updates here and there using inDesign, Illustrator, and Photoshop, and each one has its on personality. Some of them are currently on the website, while most of them I have to myself to look at. Every once in a while, I’ll show them to other people to see what I’ve created. 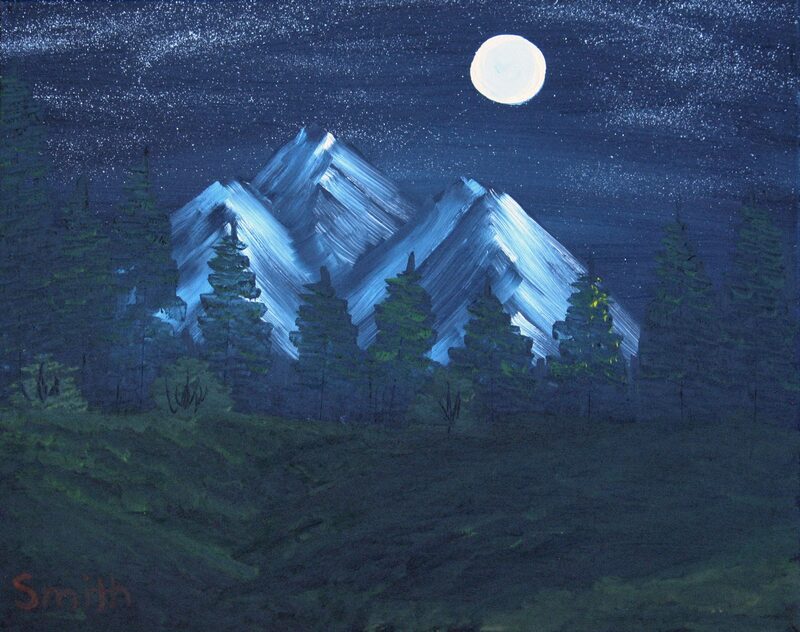 However, everyone likes my paintings the best since they’re the ones used for my greeting cards. As I said, anything I create is a work of art no matter if it’s on canvas or a computer. Going along with my art, any art show that I’ve been to can be a great place to display my creations and sell my cards because I know people will really enjoy it. The Harvest Festival in San Mateo is one example, along with San Jose or Pleasanton. What other show can I do it at? The best thing for me to do is to keep visiting them and to see which one would work! Today, I returned to the Alameda County Fairgrounds to attend the Pleasanton Harvest Festival Original Art & Craft Show. This was my first time back since selling my cards at Artist Alley this summer. As always, I was on a mission to check out some new items for the holiday season and to find inspiration for my new projects. Of course, I had to check out Linda Cullen’s creative bottle caps, which I have been doing at nearly every show I’ve been to. You may not believe it, but it’s been a year since I first met her at last year’s Harvest Festival. When I attended that show, I thought to myself, is there any booth that’ll stand out for me? After seeing it for the first time, I was instantly inspired to create projects with sports, television, and other things along those lines. The highlight of it all was giving her one of my new Kevin’s Cards calendars after giving some away to a few people, including Melanie Johnston’s mom from Artist Alley. I figured she would like to have one since giving her some of my cards at Fremont Festival of the Arts. As I’ve said before, art shows like these are great places to sell my cards and display my art and this one in particular would be one of my top choices to do it! No matter which show I attend, there will always be something to inspire me for the next project! 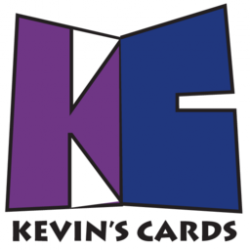 Where Will Kevin’s Cards Showcase Next? A lot of people have been asking me if I’ve sold my cards and displayed my art at other art shows. The only two I’ve done were Artist Alley at the Alameda County Fair and PIA in San Francisco. Plus, I’ve done smaller sales and did free giveaways to other people who couldn’t afford to buy them. Other than that, I haven’t done any other shows yet. However, I have visited a ton of art & wine festivals, flea markets, and different art shows because any of them could be potential places to sell my cards. Since these places are closest to where I leave, they would probably be the best option for me. As for places like Santa Rosa or Sacramento, they’d be too far for me, unless if I were in those areas! No matter what kind of show it is and where it takes place, one thing that never changes is that any one of them could be a great place to sell my cards and display my art! Today, I attended the Niles Antique Fair in my hometown of Fremont with my friends Sam, Justin, and Anthony. With a really early start to the day at around 6 AM, this gave us a lot of time to enjoy the whole experience and to see what kind of treasures we could find. Most of the antiques we found ranged from old school to modern, and everything in between. Anthony got a rare Joe Montana 49ers jersey from 1989, an old school PlayStation, and a paper mache’ clown. Sam got a couple of video games from Crash Bandicoot, crash team racing, and spy hunter, a couple of local 49ers plaques of Joe Montana and Jimmy Garapollo, and some local honey. Justin got a 49ers book and some football cards. As for me, I got a card game and an easel for future paintings to be created into the next set of greeting cards. In addition to buying stuff, a lot of the items we saw brought us back to childhood memories and flashbacks to life back as far as the early 1900s. As I’ve mentioned before, antique fairs like this one could be one of the potential places to sell my cards and display my art. No matter what kind of art show it is, any of them could possible because you never know what you might find! Last weekend, I attended the 35th Annual Fremont Festival of the Arts in my hometown of Fremont, CA. As with all the other ones I’ve attended, most of the stuff was pretty much the same. The biggest surprise was seeing Linda Cullen in my own neck of the woods, and I had a feeling she wasn’t going to be there. But, hey! You never know what can happen! For the first time since meeting her at the 2017 Harvest Festival in Pleasanton, she was able to get some of my greeting cards after creating the bottle cap necklace with the Kevin’s Cards logo. As they say, what goes around, comes around because if people do contribute to your art, you should do the same for them! The other highlight was hanging out with my buddies Justin and Anthony during both days of the festival and they seemed to enjoy it as much as I did, even if it was really hot outside! Although I didn’t buy anything in particular, they bought some items from the Golden State Warriors and San Francisco 49ers such as a poster and a spray painting replica. Since Fremont is my hometown, this is definitely one of the best festivals to sell my cards along with the Niles Antique Fair because it’s closer to my house and I’m sure I can get a lot of locals to come by and check out some of my works of art! You never know what can be found at any art show or festival!